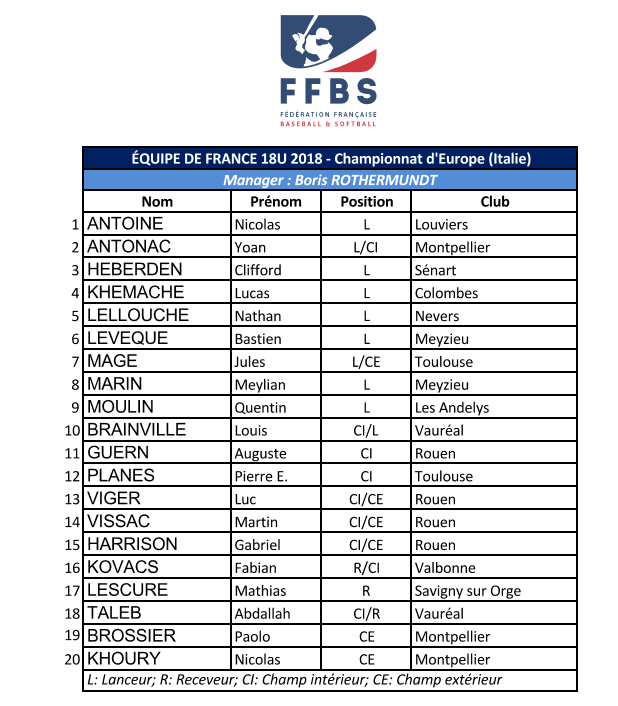 The roster of France for the U18 European Championship in Grosseto was announced this week by the French Baseball and Softball Federation. 20 players were nominated by head coach Boris Rothermundt. The tournament is being played from July 9 to 15. France faces Great Britain, Netherlands, Czech Republic and Ukraine in Pool A during the first round.